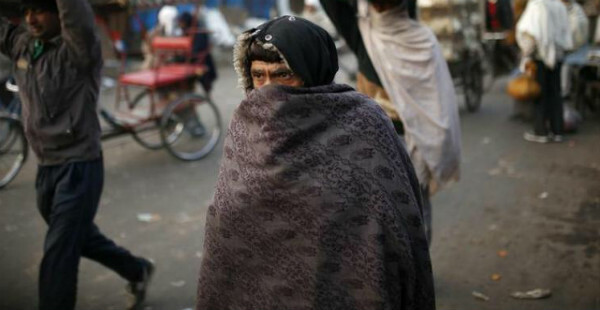 The month of February ended on a pretty cold note for Delhi-NCR. And it seems like the winter cold has now spilled over to the month of March. Otherwise a significant change in weather condition is pretty normal between the two months. The average minimum for the month of February is 10.4°C whereas for March it's 15.6°C. Looking into the maximums, the average day temperature for February is 23.9°C and for March it is 29.6°C. The month of March usually begins with the day temperature hovering around 27°C and settling around 31°C by the end of the month. Similarly, minimums for the beginning of the month settle close to 12°C, while it shoots up close to 15°C by month end. The inter-season jump in temperatures is more in maximums than in minimums. We see that, both the inter-season and intra-season variability is quite large for March. This year the first day of March recorded 6.8°C which is six degrees below the normal mark. 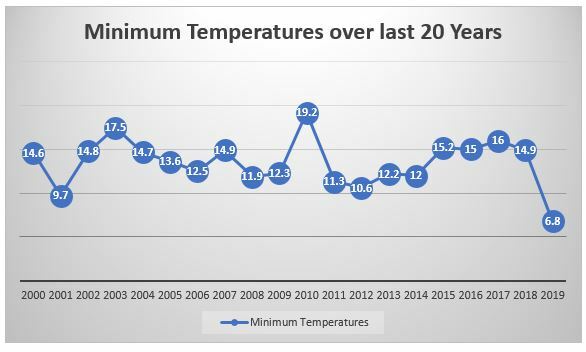 If we look into the data, for last 20 years, we see March 1 has recorded minimums in double digit figures on all the occasions. And in more than a half occasion the minimums were recorded close to 15°C. In view of the Western Disturbance affecting North India at present, rains are likely over entire North India in the next few days. During these rains, minimums are expected to rise and remain between 10 to 12°C.